Dr. Bertha Taylor Escoffery is a native of Hampton Roads, having lived in Norfolk, Virginia Beach, Chesapeake, and currently lives in Suffolk. She attended public schools in Norfolk, Virginia where she graduated from Booker T. Washington High School. She received a B.A. degree in English and a M.A. degree in Communications from Norfolk State University. Additionally, Dr. Escoffery received a Certificate of Advanced Study (C.A.S.) in Educational Administration at Old Dominion University and a Ph.D. degree in English from Indiana University of Pennsylvania. She has had several professional positions in teaching and administration in both public school education and higher education. Dr. Escoffery taught English at Norview Jr. High School and Lake Taylor High School in Norfolk, Tidewater Community College in Virginia Beach, and Norfolk State University, where she was recently awarded the honor of “Professor Emerita”. Dr. Escoffery has served as Vice President for Academic Affairs at Livingstone College in Salisbury, North Carolina, and is currently serving as Acting Dean of Student Services at the Portsmouth Campus of Tidewater Community College. Dr. Escoffery holds membership and office in many civic organizations. These include the Urban League of Hampton Roads; Norfolk Sister Cities; Suffolk Sister Cities; The Links, Incorporated; Alpha Kappa Alpha Sorority, Incorporated; Norfolk State University National Alumni Association; Chesapeake Chapter of The Holidays, Incorporated; Portsmouth Chapter of Pinochle Bugs, Incorporated; and Delicados, Incorporated. Also, she is a Paul Harris Fellow with Rotary International. Additionally, she has served as a fund-raiser for the United Way Campaign, Norfolk State University, Southside Boys and Girls Club, and Lake Taylor Transitional Care Center. She is a member of several professional organizations, including International Reading Association, College Language Association, National Council of Teachers of English, and Sigma Tau Delta International English Honor Society. Dr. Escoffery has been a speaker and workshop presenter at various professional regional, state, and national organizations for many years. As an active member of Bank Street Memorial Baptist Church in Norfolk, Virginia for over thirty years, Dr. Escoffery has served in many roles, but currently she is the Vice Chairman of the Ministry of the Board of Trustees. She is married to Dr. Aubrey S. Escoffery, a retired university professor and administrator and clinical psychologist. 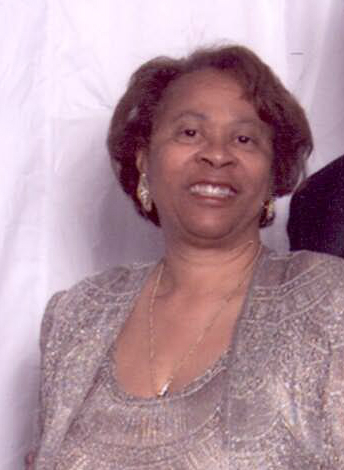 She has one adult daughter (Phyllis Cooper), three grandchildren (Pia, Phillip, and Paris Cooper), one step-grandson (Tracy McClamy), two adult step-daughters (Denise Reeves and Renee Torres), one adult step-granddaughter (kia Williams), and one step-great granddaughter (Keaton Williams). Dr. Escoffery enjoys spending time with her three grandchildren as well as traveling, reading, and playing cards. She also spends time mentoring young people and volunteering at Booker T. Washington Elementary School in Suffolk, Virginia. Additionally, Dr. Escoffery continues to serve as mentor (“mom”) to many of her students who she taught while teaching and advising at NSU.